Marijuana stocks rose on the news Monday. Coca-Cola Co. says it’s monitoring the nascent industry and is interested in drinks infused with CBD — the non-psychoactive ingredient in marijuana that treats pain but doesn’t get you high. The Atlanta-based soft drinks maker is in talks with Canadian marijuana producer Aurora Cannabis Inc. to develop the beverages, according to a report from BNN Bloomberg Television. Coke’s possible foray into the marijuana sector comes as beverage makers are trying to add cannabis as a trendy ingredient while their traditional businesses slow. 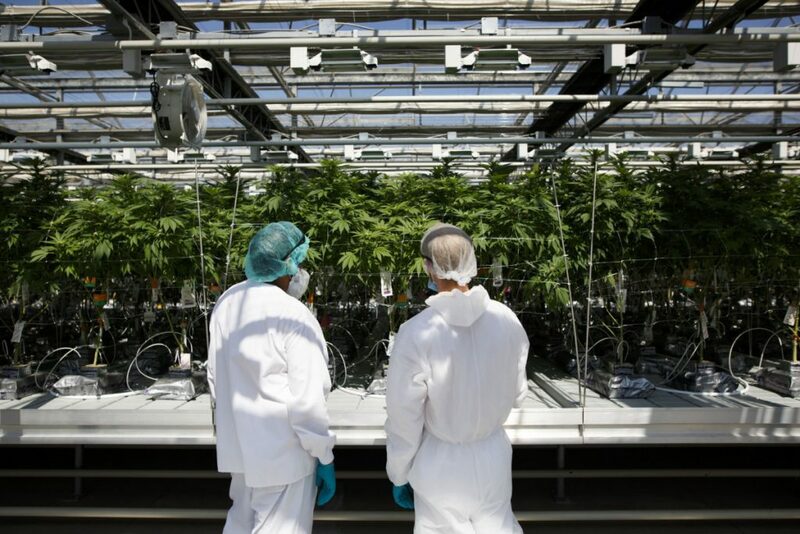 Last month, Corona beer brewer Constellation Brands Inc. announced it will spend $3.8 billion to increase its stake in Canopy Growth Corp., the Canadian marijuana producer with a value that exceeds $10 billion. Molson Coors Brewing Co. is starting a joint venture with Quebec’s Hydropothecary Corp. to develop cannabis drinks in Canada. Diageo, maker of Guinness beer, is holding discussions with at least three Canadian cannabis producers about a possible deal, BNN Bloomberg reported last month. Heineken’s Lagunitas craft-brewing label has launched a brand specializing in non-alcoholic drinks infused with THC, marijuana’s active ingredient. While marijuana remains illegal at the national level in the U.S., there is growing acceptance of the use of CBD derived from marijuana to treat illnesses ranging from chronic pain to anxiety and epilepsy. The first-ever medical treatment derived from a marijuana plant will hit the U.S. market soon, after regulators in June gave an epilepsy treatment by GW Pharmaceuticals the green light.